Today I have a lot on my plate. Good thing that I have already finished my workout so I can cross that off my list. So what is on my list for today? Well, I have to do laundry (which I am doing right now as I am typing this - I am so thankful that I have a washing machine at home), iron some clothes (I have been putting that off for a while now because ironing clothes is boring), I have to clean my apartment and pay some bills. This sounds so boring and it is. But the truth is that these are things that eventually can't be put off. Ugh it would be so great if I had someone who came a cleaned my apartment and ironed and folded my clothes once a week. I mean I can easily do those things myself but those aren't fun things. Here is a black and white version of one of the pictures that I posted the other day from my photoshoot with Pelle Larsson. Hello! I love Åhléns! I went shopping there yesterday and got a huge discount. I am a member of there loyalty club so every now and then I get pretty nice discounts. I buy all of my facial products there because of the discounts that I get. I also collect 1 point for every 1 kr that I spend. Anyway I bought two new facial products that I have never tried before. I have tried other products by those brands so I hope that these will be just as good. 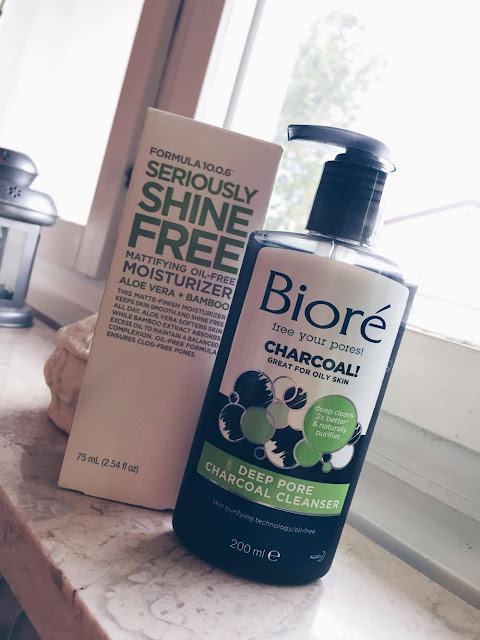 I have wanted to try Biorés deep pore charcoal cleanser for a while so now that it was time to buy a new one I decided to try this one. I also bought FORMULA 10.0.6s Seriously Shine Free mattifying oil-free moisturizer because I need a new night cream. I know that it is a day cream but I can't use regular night cream because they're not oil-free. The day cream that I use has SPF and you shouldn't wear SPF during the night as well. That is why I need two day creams. Hello! I got some new pictures last night from a photoshoot that I did this summer. These pictures are shot and edited by Pelle Larsson. If I have one comment about these picture is that first one is overexposed. Originally it is not like that so he edited that way otherwise I am pretty happy the pictures from that shoot. We got some amazing shots and I can't wait to show you more but until then you have to enjoy these two. Hello everyone! How was your weekend? I see that you really liked my How To Be Veganpost from last week and that inspired me to do a part two of that post. This post is going to be about my favorite vegan food brands. I feel like that when people think about vegans they think that we only eat salad. That is not at all true. Yes a vegan diet is 100% plant based but that doesn't mean that we only eat salads. There are a lot of vegan alternatives/ versions of "regular" food. Some of them taste exactly the same or much better than the non-vegan version. Like this vegan mayonnaise. I would say that homemade mayo (at least the one I used to make myself) taste a billion times better than store bought. 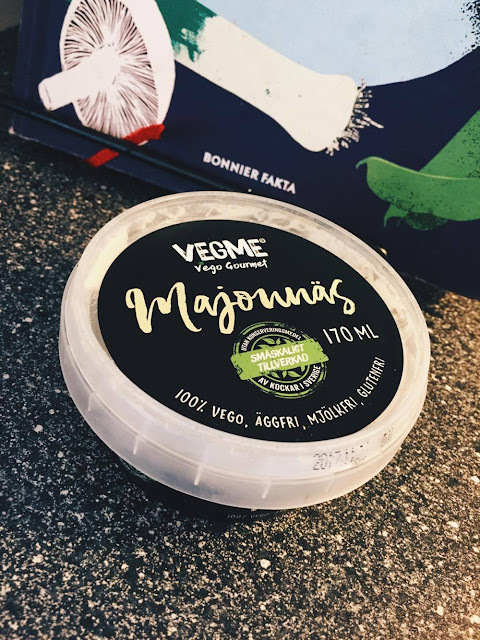 So when I tried this vegan mayo I was a bit sceptical but honestly I can't tell difference and the best thing is the it tastes just like homemade non-vegan mayo.